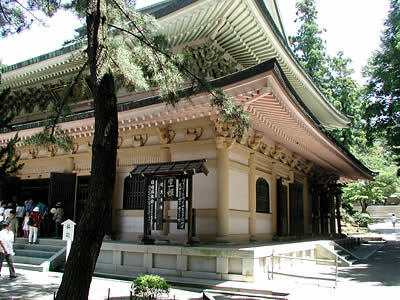 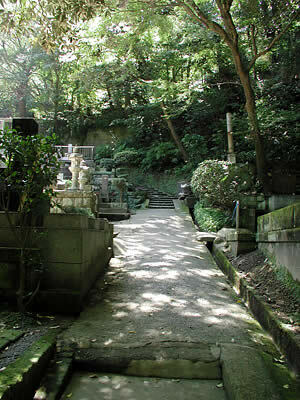 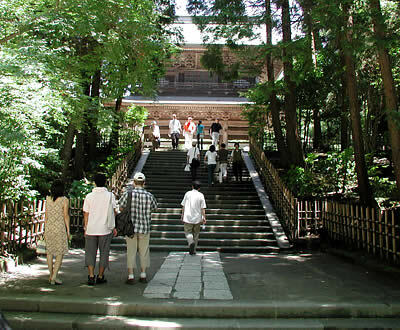 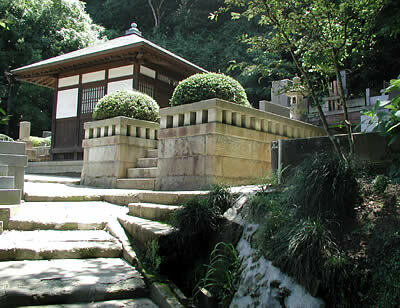 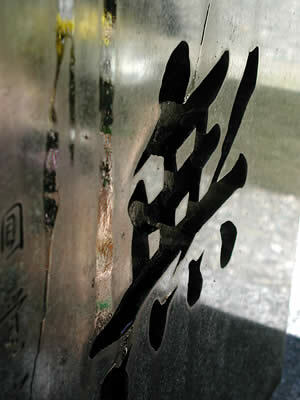 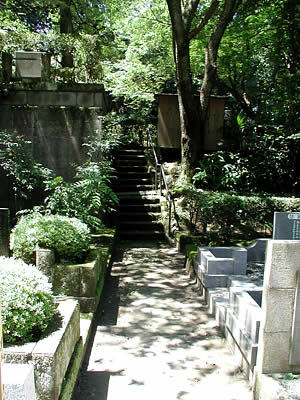 At the top of these stairs, you will come to Sanmon (山門). 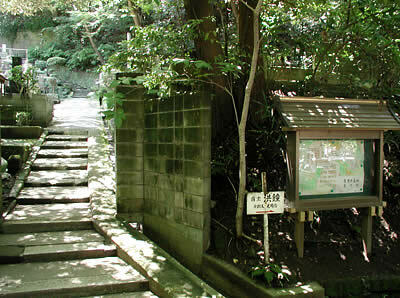 You will want to walk around to the right of this imposing gate. 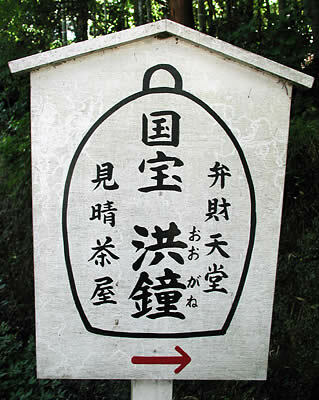 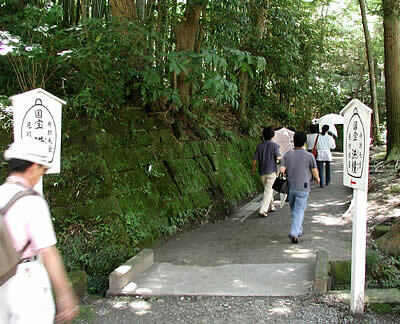 Walk up on ahead about 20 or 30 meters until you come to Butsu-den (仏殿) on your left, as pictured below. 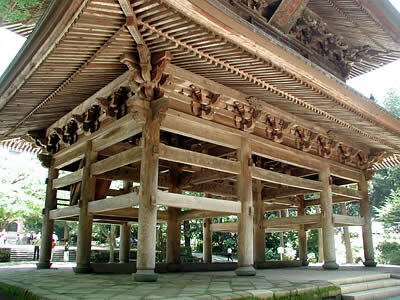 (Note: when I visited Engaku-ji on June 21, 2003, this temple building was undergoing restoration and was completely covered in sheets and scaffolding). 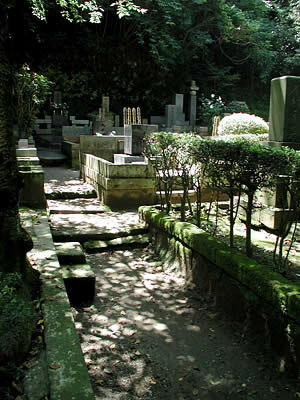 The important thing to remember is that his grave is on the far left end of the 3rd row from the back. 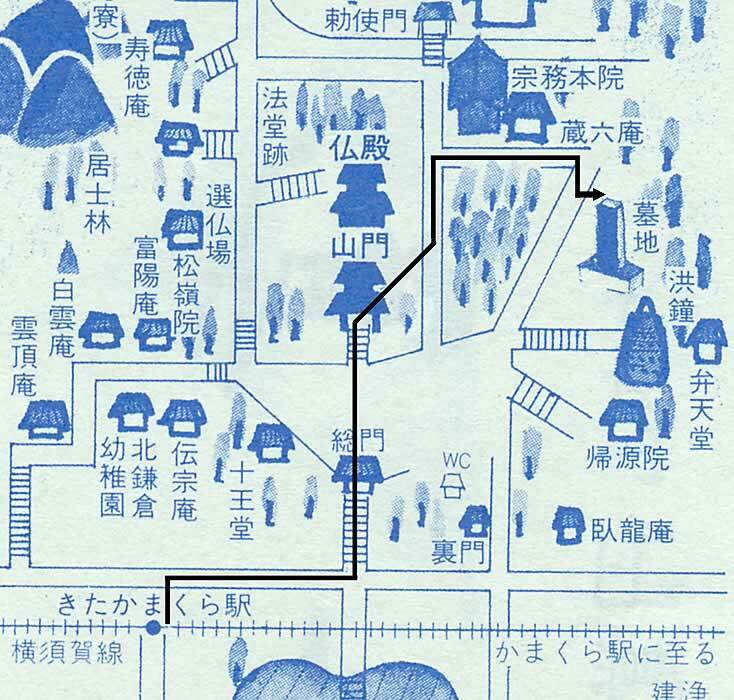 If my instructions haven't been clear, or you'd just like peace of mind, you can click on the above map which will take you to a detailed (and printable) view, upon which I've drawn the path you should take to find the graveyard. 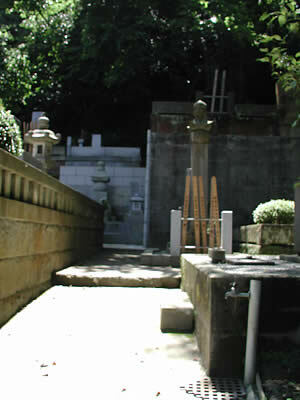 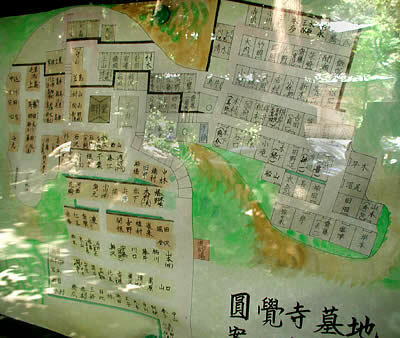 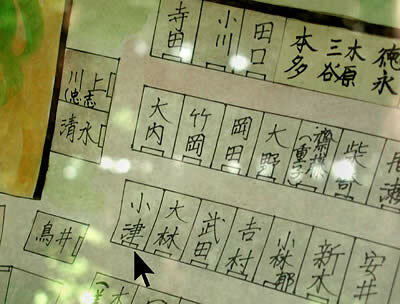 You'll still need to find Ozu's grave in that graveyard, but the on-site map at the entrance to the graveyard should help you with that.